Who doesn't dream of having a luxurious home? However, renovating your home on a tight budget is way too difficult. What if we told you that renovating your home is really easy and that too on a budget? Yes, it is true! Curtains are something most of us overlook. We just look for those shady curtains available at a store at discounted prices. 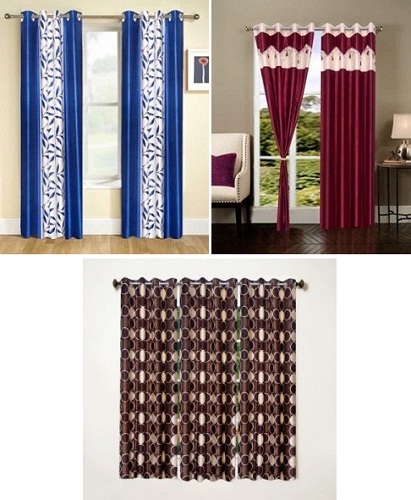 If you choose your curtains rightly, they can make your home look gorgeous. Along with other bedroom pieces, curtains is where you should invest your hard money so to make your home look luxurious and stylish. Choose a colour that suits your taste and other decor pieces in your room. If your room is plain and simple with pastel interiors, you can opt for bold and dark curtains and vice versa. 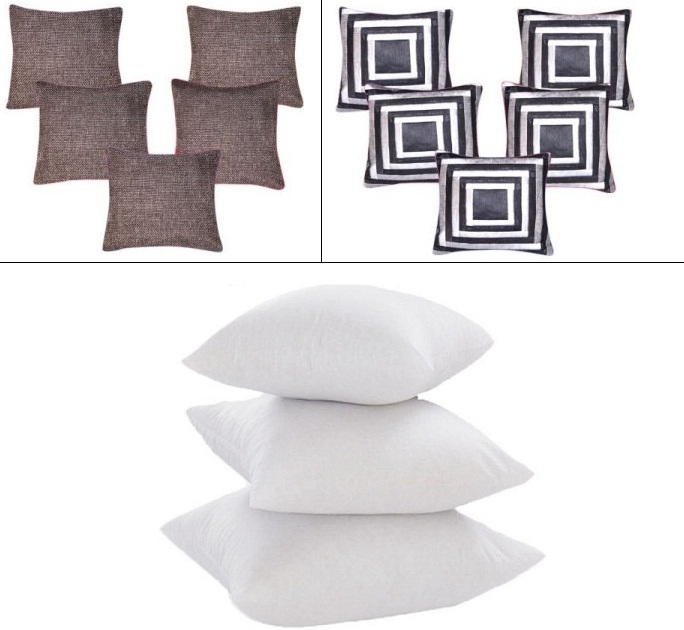 Add life to your simple and serious drawing room by adding a few cushion fillers to your sofa. It is nice to add some element to your regular sofa with bold cushion covers in terms of print or shades. You can choose one of these trendy cushion covers and change the look of your drawing room on a budget. 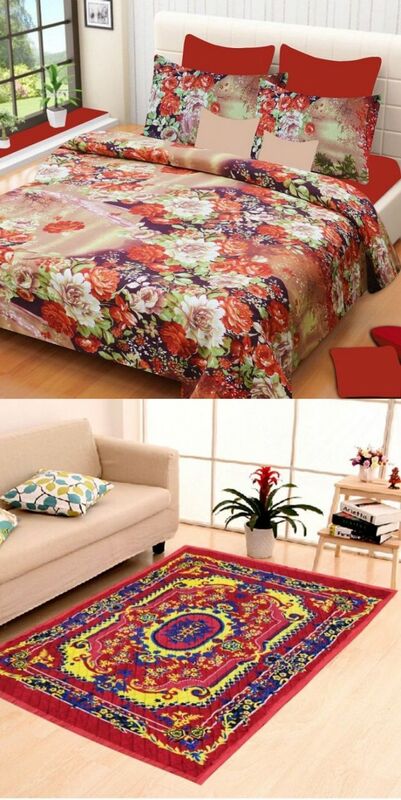 Add a touch of creativity to your bedroom by investing in a couple of nice bed-sheets for your room. 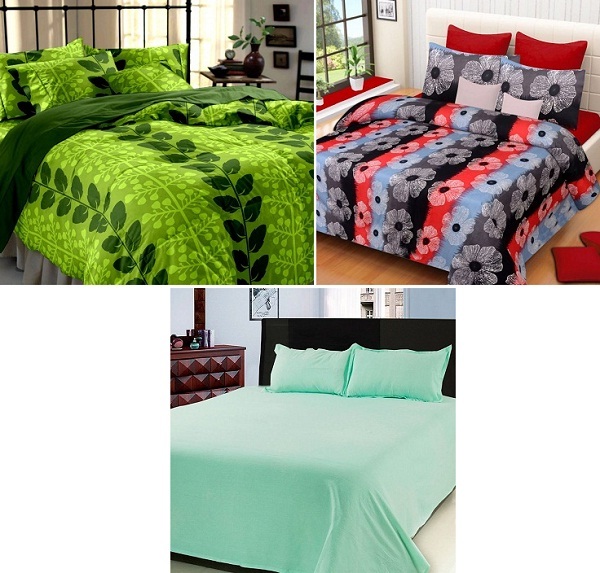 A bed-sheet can entirely change the look of your room without burning a hole in your pocket. You can choose one based on the look of your room. Want to give a quick makeover to your flooring? Think of a really stylish carpet. You can choose from the ones below or have a look at our extensive range. 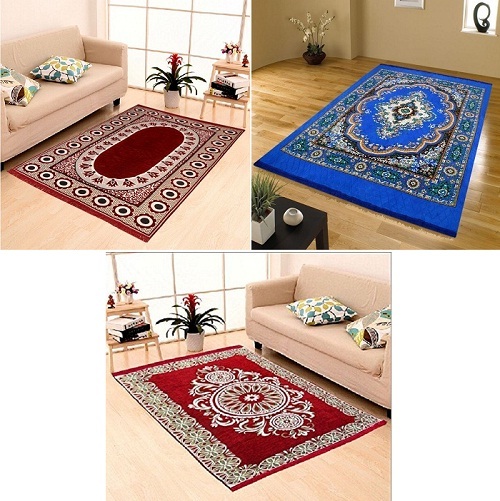 Believe us, adding a carpet or two to your drawing room can make your drawing room extremely appealing.